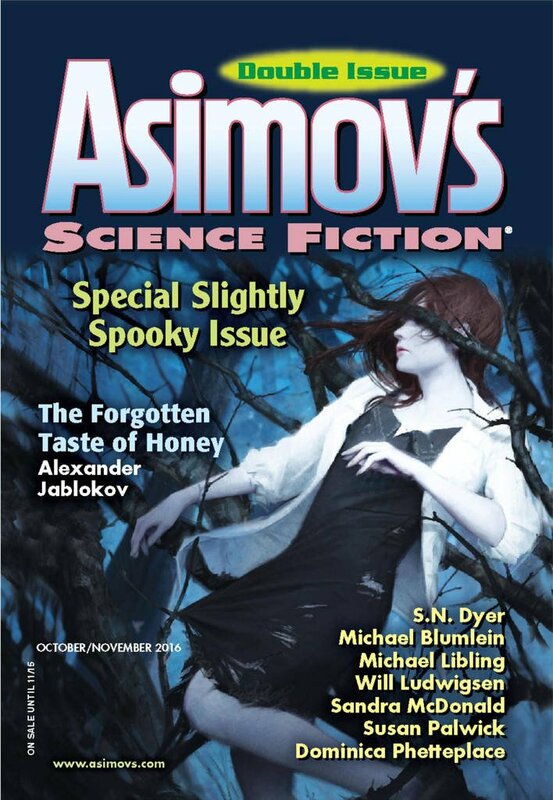 "Choose Poison, Choose Life," by Michael Blumlein [bio] (edited by Sheila Williams), appeared in Asimov's Science Fiction issue 10-11|16, published on September 22, 2016 by Penny Publications. Other than the vague idea that island goddesses are beaming Daisy and Rose's stories into Violet's mind, there's no fantasy or SF element to this story whatsoever. And it is long and dull.